Before heading off to an all-inclusive resort in the Bahamas, I had a lot of uncertainty. 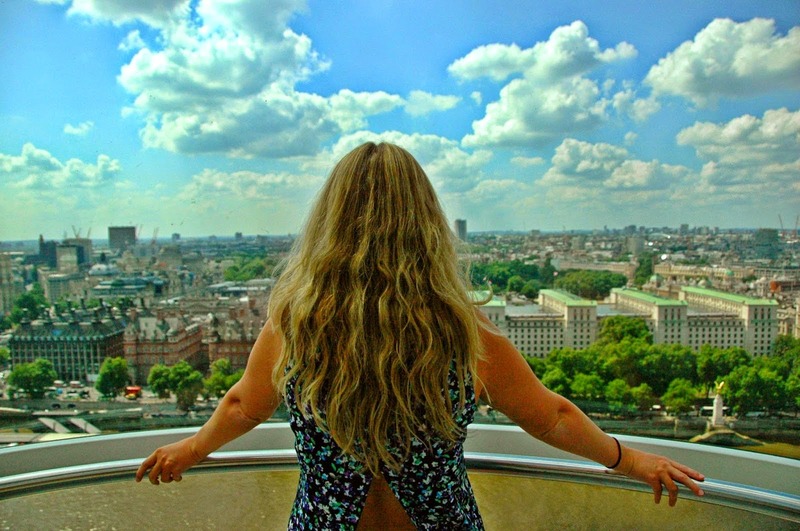 I like to think I'm a good traveler, someone who can immerse herself in another culture and can genuinely appreciate what other places in the world can offer. All-inclusive resorts, I feel, have a reputation for covering up the exact things I love so much about travel - the local people, the local way of living, the local quirks, and the genuine beauty of a particular part of the world. This is exactly why I'd never been to a resort before December and why I had no interest in doing so. 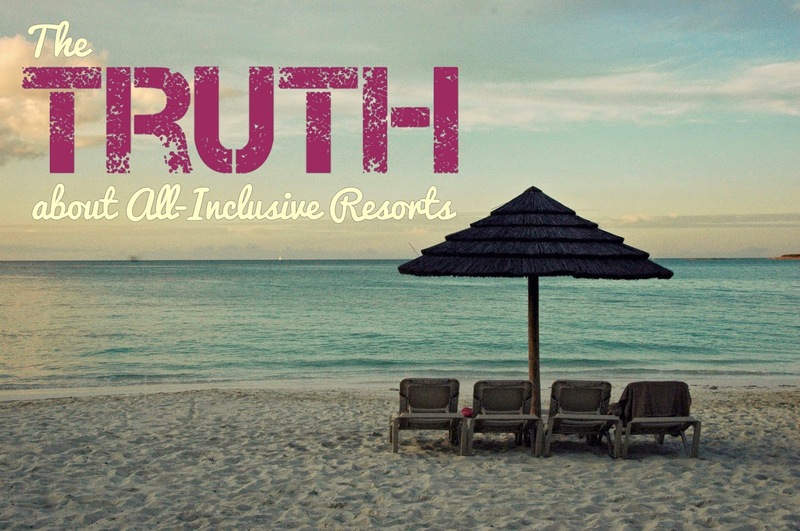 But after arriving at the resort and enjoying it for four days of relaxation, I realized that my preconceived notions didn't describe the whole truth about all-inclusive resorts. I could see where these ideas about resorts were formed, but I was also shown why you can't always believe the blanket statements of stereotypes. So here's the whole truth about all those opinions we have about resorts. + They're expensive and overpriced. Yeah, they are expensive. With the cheapest rooms still over $200 per person per night, a vacation to an all-inclusive resort can add up quickly. But I wouldn't goes as far as to say they're overpriced. The cost to book a room doesn't just include your bed and bath accommodations. It also includes your meals (where you can totally order the lobster instead of the chef's salad), all the snacking you want to do between meals, alcohol, and land and water activities like tennis and snorkeling. At our resort, even scuba diving was included. When you think about booking a room at any hotel then paying for all your meals, drinks, and activities separately, you're honestly probably going to spend around the same amount. + There's absolutely nothing authentic about it. No, you're not going to find any ancient ruins or hole-in-the-wall bars at a resort, but I wouldn't go as far as to say nothing is real. At our resort, all the employees were from the Bahamas, so we still got to be around real people who were from the area, and I'm almost positive I got to swim in real clear blue water. And I highly doubt the fish I saw while snorkeling were getting paid to be in the water so I could see them. Yes, resorts are constructed with the tourist in mind, but it still has to have some sort of unique touch from the area to satisfy our need for something different than what we have at home. + Nobody ever leaves the resort. I think this is the one stereotype that actually holds some truth. But whereas I had a negative opinion about this truth before visiting a resort, now my opinion is much more neutral and understanding. My question is, why would want to pay all this money for everything you could need just to leave the resort and spend even more money elsewhere? That just doesn't make financial sense. I totally understand why people tend to stay at their resort. These people aren't looking to explore every inch of a new place; they're looking to get away for a while and just relax. Resorts are perfect for that. Once you check in, no more planning or making sure you're seeing and doing everything there is to see and do. You can let your hair down and forget about the real world for a little while. And I think that's something all of us could use every once in a while - a break. + Resorts are full of stuck-up snobs. This could not be farther from the truth. I'm from a beach town and went to private school; I know all about stuck-up snobs. The truth is that people who go to resorts are normal people. Tons of other guests talked to Bryan and me and got to know us. Everyone we met was polite and seemed like all-around good people. It was so refreshing. Before going to the Bahamas, I was little worried that we would look out-of-place at a resort, but the reality was much different. We fit in, and I was completely comfortable throughout our stay. Resorts build community. Everyone at a resort is there for similar interests, so you already share a connection with other guests, which in turn makes you feel at ease. I would totally recommend a resort vacation to people. Before our trip, I would have never considered resort-style travel. But now that I've been and have experienced it first-hand, I'd definitely do it again. I don't think I'll ever get to a point where I only stay at resorts - those are my general interests differing from what resorts offer - but I can see the usefulness of resorts now, and I'm not opposed to booking another vacation at a resort in the future. I came home feeling relaxed, refreshed, and rejuvenated; it was the perfect four days away from home. I used to think that someone is a "bad traveler" if they liked resorts, but now I see where we're all different and have different interests. If you're looking for a relaxing getaway from the hustle and bustle of everyday life, then a resort is exactly what you need! Fine Leather Goods? Treat Yo Self!